"Mostly I think it is still the enjoyment. I have always been a very accomplished mathematician and the biggest draw of maths (math for our American cousins) for me was problem solving. That same aspect carries over into modding..."
Hello there Arachîr, it's good to see you again. It's been a while since we spent our early TWC time together in the TATW fora, we have both gone far since then! However, thanks for accepting to give us this interview, as a start would you mind introducing yourself to the greater TWC audience? Certainly; and may I say that you do me a great honour by using my title! Please feel free to call me Galu! For those who do not know of me, I am Arachîr Galudirithon (Highlord Galudirithon) and am the current team leader for the modding team behind Divide and Conquer. I have been a member of the team for 5 years and have been the team leader for 2 and a bit. I am a citizen of our fair community here on TWC and something of a ‘rising star’ on YouTube with a 22,500 sub strong channel that is almost exclusively used to show off Divide and Conquer and Lord of the Rings. Being a modder is a hard task, sometimes quite unnerving. How is it that you started modding? As suggested above, I am passionate about Lord of the Rings and the aspect of the legendarium that always hooked me the most was Dol Amroth. 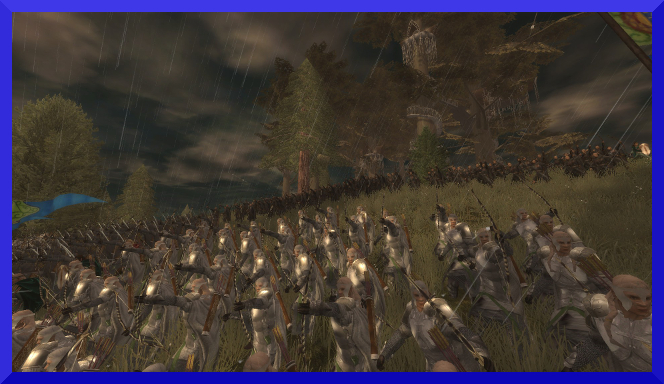 So when my flatmate at Uni told me about a mod that takes Medieval 2 and turns it into Middle-earth I was totally sold. I can still remember my first glorious campaign as the Dwarves. Anyway, a short while later after having also poked around TWC I came across a mod that allowed the player to play as Dol Amroth. I absolutely had to play this mod and the only way to get a hold of the glory of Dol Amroth was to be a member of their team. So I set about learning what I could about the team and began a campaign of pestering until they finally accepted my help in the form of some writing. I wrote the descriptions of the entire Khandish roster and, to date, they are still virtually untouched from my original submission. Once I was in my modding journey began really. I see. What's your main source of inspiration to keep modding then? That is a tricky question. Mostly I think it is still the enjoyment. I have always been a very accomplished mathematician and the biggest draw of maths (math for our American cousins) for me was problem solving. That same aspect carries over into modding. I know that I can get this unit to have a poison effect on their arrows but how. Then the fun begins as you start experimenting with different files. I still have that excitement now and the joy when you finally crack it is unmatched. In addition I also have a strong sense of loyalty to DaC now and until I feel that Hummingbird and I can really leave it in the hands of people who will be as dedicated as we have been, I don’t want to see it languish and potentially die. Modding Third Age means that one has to deal with an enormous quantity of info about Lore, coupled with all the input coming from the movies and other sources; which sources do you favour, in general? Without a shadow of a doubt it is the books. The basic premise in DaC is that we use books for lore and the movies for visuals. Now of course this does lead to some inaccuracies but in modding, like in any game creating process, you have to give the people what they want although we do draw the line with certain visuals from the movie despite the public’s desire for them (War Goats). There is also a third aspect and that is of course gameplay restrictions. So we try to keep as true to the books as possible but we turn to the films for soldier, world and city visuals and some things just have to be cut or changed altogether. An example of this is of course the Lady Galadriel. Everyone would love to have her lead the armies of the Galadhrim to victory but having her as a general in the Medieval 2 engine would see her constantly referred to as a ‘him’ and she would get marriage offers from other women. There are other aspects to it but you get the idea. I know you are familiar with the Lore in general and in particular with elven languages. What's the story behind? Ah yes Sindarin, my other hobby. I have always been the kind of person who wants to know more; more of everything but in particular my thirst for knowledge primarily rests with etymology, languages, cultures and history. Tolkien’s universe encompasses all of these aspects but his dedication to, and level of detail within, his languages is amazing and I wanted to learn more. At uni, I found myself with a heap of spare time and so whilst not studying law I started studying lore! It grew from there and now I have a good understanding of Sindarin but as any student will tell you, it is hard to do more than write in the language; it is very difficult to speak in it as it is not complete and you have to think up ways of getting round the lack of certain words. For example, the DaC team has had the name Hûd’oll for some time and this means ‘Council’. Although in truth it actually means ‘wise assembly/gathering’. I can however write in Tengwar script quiet proficiently. My calligraphical skills are nothing on Tolkien though! What's your favourite story/character from the Lore? My favourite character is a very close toss up between Glorfindel and Prince Imrahil of Dol Amroth. Indeed it was the latter who I found so interesting that I wanted to learn as much as I could about his homeland and these elven/Númenórean hybrids. The history of Dol Amroth is my favourite story and the Prince of the realm in the third age is my favourite character. If I were pressed to pinpoint a more traditional story with a protagonist, antagonist, plot and conclusion then the story of the Ring is my favourite. Elite dwarven units, a hard nut to crack! 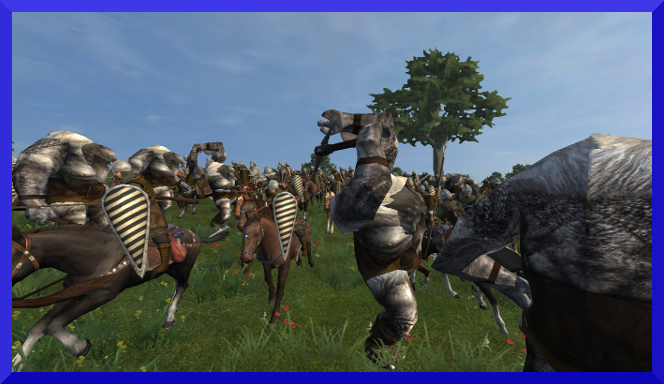 Backing to modding, Divide and Conquer is nowadays the most popular submod for Third Age, and that says a lot already. In your opinion why it is so popular? I think DaC is so popular because it adds such a vast amount of variety. TATW is an epic mod with amazing graphics for the time and awesome ideas but, and this is to be expected, the playable content is actually quite small. The team had to create the whole world, with traits, ancillaries, mapping, settlements, units, nations and of course write a books worth of text. Their focus had to be everywhere and as such the mod couldn’t be as big as they may have wanted before team members began dropping off. DaC expands on that in areas that people always want more in: units and factions. 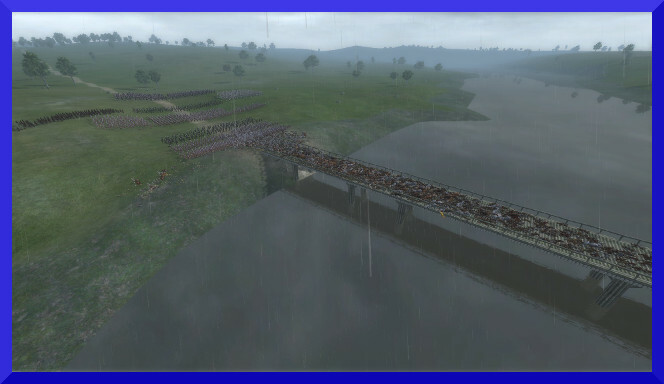 I think the popularity of multiple factions is known to CA as well with games like Shogun 2 and Rome 2 having a lot of playable factions (after DLC). Most people will also come to DaC because it adds these things with minimal instability issues and impact on turns. In fact the fast turn times are something of a major selling point for DaC and one of the chief reasons that MoS players have flocked to DaC. Like most big submods DaC also adds in the fantastic works of smaller more specific mods such as Leo’s famed Unofficial patch and that again adds to the marketability of DaC. Lastly, it has to be said that the impact of YouTube on the mod has been huge. I am not talking about my own channel but the featuring of DaC on channels like Pixelated Apollo and Lionheart has seen interest grow. What are the main differences of DaC compared to Vanilla TATW or other submods? DaC’s main selling point is the addition of various sub-factions and I believe in fact we have double the number of factions that TATW had. In DaC you can play as minor nation, forgotten people and subdivisions of bigger nations and that is our unique feature. Of course this comes with lots of units as well! In addition we do have a lot of scripts that simply weren’t present in the base game – although we have nowhere near as many as MOS. DaC also adds in various features present in Medieval 2 but omitted or forgotten in TATW; such as guilds and certain types of building and unit bonuses. DaC is a long term projects (I remember it to be in development since before I joined TWC), do you have any word for the former team? Anyone you wish to thank in particular? Even in my lengthy term as a modder of DaC I still only met a tiny portion of the number of people who worked on the mod. When I joined, Emperor of Hell was the leader and he was a man of few words! Since taking over from him I have only actually met 2 former members, one was a simple thank you from him for keeping DaC going and the other, Baron Samedi, actually did some more work with us for a while before going again. I would like to thank Emperor for giving me that first chance to join as it has lead me down this road and I have enjoyed (almost) every minute of it! On the personal base, I guess that you are pretty much satisfied with the results of the last editions of the Modding Awards, considering that you ended up to win as Most Popular Modder for Med 2 three times in a row. How does it feel? What are you thoughts about? I feel somewhat uneasy with the victory of both DaC and myself over the past 4 award ceremonies. Whilst I do feel that DaC has deserved every award it has gained; I feel that my own success stems mostly from my YouTube presence. I think people voted for me who perhaps wouldn’t have even known about the awards without my saying. I do feel strongly about this and I plan to remove myself from the awards of 2017. I have been very active and I did lead DaC entirely on my own for the better part of a year and I am pleased to have my dedication honoured in this nice way but I think the time is now for others to receive the glory. DaC may have been just me for a time but it isn’t anymore and hasn’t been for a long while. Although it does feel nice to win 3 years on the trot! Haha! What about new CA fantasy titles? Have you tried Warhammer? Any general opinion on it? 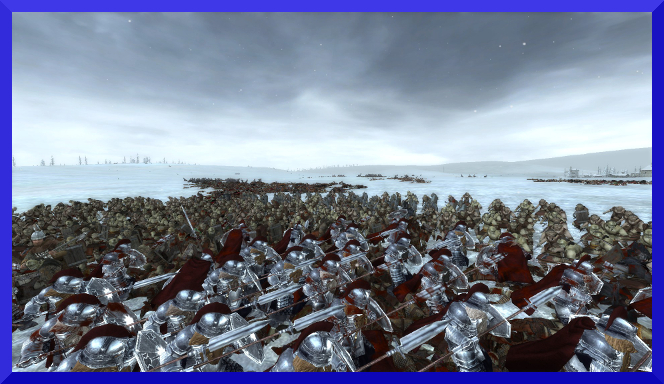 I am afraid that I am somewhat disillusioned with CA after the dumbing down of Rome 2 from previous titles and I have little to no desire to play with Warhammer or its upcoming sequel. I will stick with the game I know and trust. How do you see your modding future? Do you have any plan to mod the Warscape engine? Ah none at all I am afraid. It would require a substantial amount of education in order to transition from Med 2 to the later games and I am also increasingly running out of free time since I have finally started on my career path in law. I can only see myself spending less and less time on modding as the days tick past. I will stick at it as long as I can and hopefully the game will always have people willing to play. As long as that is the case then I would be willing to mod it for them. And what if they will finally make a Med 3? I would play it, I would absolutely buy and pay it, if not just to see the difference in the two games, but I don’t think I would move to mod it. 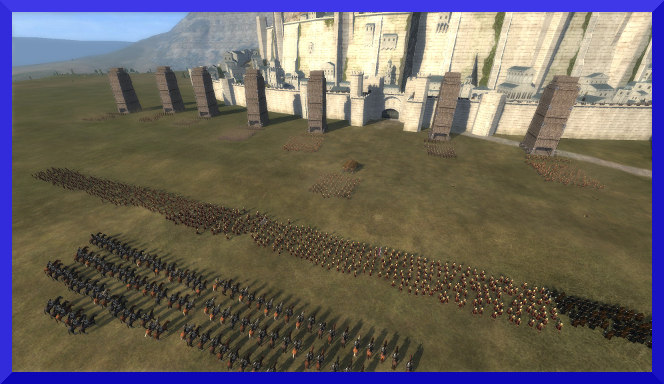 With CA’s games become increasingly more difficult, and in some cases impossible, to mod; it may not even be possible to mod it by the time they make Med3. So, thank you very much Arachîr! I wish you all the best for your future in general and I hope to see more and more coming from you; we are eager to see a new release of DaC! Thank you very much for having me. It has been a pleasure. Great interview Flinn and Galu! Well done Flinn. Another great article. That's always interesting to see what motives great modders during all these years. That's really great Flinn and Galu. Thanks guys for this enjoyable read!